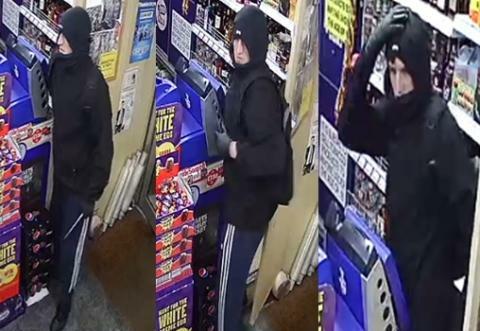 We want to identify him as part of our enquiries into a knifepoint robbery in Millbrook, Southampton. Shortly after 9pm on Saturday 16 February a man carrying a knife entered the Premier Store on Wimpson Lane where he demanded cash from a member of staff. He then stole approximately £200 worth of scratch cards before leaving the shop. A second man was reportedly waiting outside the shop. We would like to speak to the man pictured in the CCTV images, so if you know him, please call us. Detective Constable David Barnes said: “Did you witness this incident, or anyone acting suspiciously near the shop at this time? If you have any information, please contact us on 101, quoting 44190057654, or call the charity Crimestoppers anonymously on 0800 555 111.